Today, the Indianapolis Colts extended Andrew Luck’s favorite target. Hilton will remain a Colt for 6 more years. The new deal that he just received will kick in next season. Hilton’s new deal is for 5 years worth $65 mil, according to Ian Rapoport. Also, Hilton has $39 mil guaranteed coming to him, according to Albert Breer. 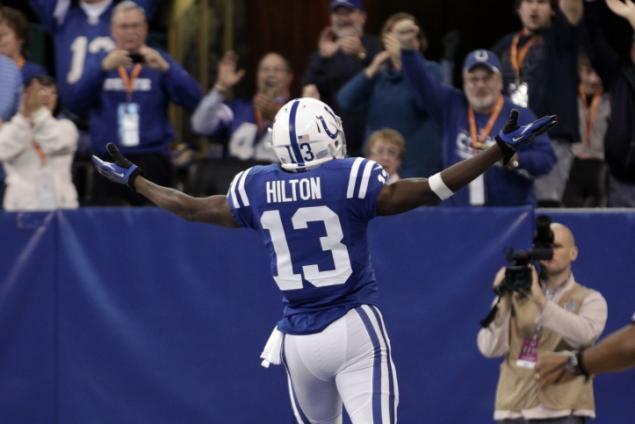 Hilton had his breakout season in 2013, but in 2014 he emerge himself as one of the top receivers in the game. Hilton this past season had 82 receptions with 1,345 receiving yards for 7 touchdowns. The Florida International University product is a special player and he will continue to succeed in the league. Not overpaid just a well deserved extension. Also this is the bar for new contracts for receivers just like what Dez Bryant and Demaryius Thomas received.